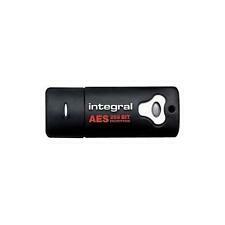 The Integral Turbo 512GB USB 3.1 Gen 1 (USB 3.0) Flash Drive is Integral s fastest USB range ever. Experience a premium drive with blistering transfer speeds and super-fast backup. Up to 400MB/s Read and 300MB/s Write. Featuring a capless design casing that is compact and durable. 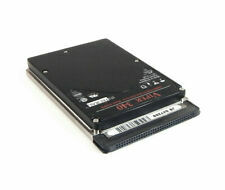 Integral -8340PA- 340MB VIPER PCMCIA 1.8in 10MM HARD DISK DRIVE. Part Number8340PA. Unprotected files cannot be saved to the Crypto Dual. Crypto Dual has a zero footprint - No software installation is required before use. 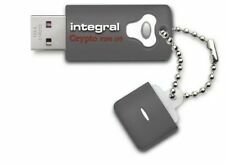 Endpoint security software compatible - The Integral Crypto Dual operates comfortably with endpoint security solutions by using the embedded unique ID. Password Entry Count - The Crypto Drive records the failed entry count. Mandatory encryption ensures a user cannot save unprotected files to the Crypto Drive, a password must be set up before use. Crypto Drive has a zero footprint - No software installation is required before use. 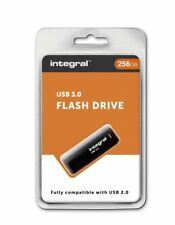 Integral Black USB 3.0 Flash Drive combines a great-value price with a SuperSpeed data transfer rate, that is faster than an equivalent USB 2.0 drive. Compatible with Windows XP, Vista, 7, 8.1 and 10 Mac OS v10.0 or Later. The MORESTOR iPhone / iPad USB 3.0 Flash Drive lets you expand the capacity of your Apple device, it's a USB 3.0 Flash Drive with both USB and Lightning connectors. Open photos, videos, music and docs directly from MoreStor without having to copy to Apple device or computer. Manufacturer Part no. USB 3.0 works in USB 2.0 compatible computers (at USB 2.0 transfer speed). USB 3.0 port for SuperSpeed (USB 2.0 compatible, at USB 2.0 transfer speed). USB 3.0 SuperSpeed hardware. It also won the top award of 5Gs in Channel 5s Gadget Show back in 2011. Presenter Ortis Deley washed a selection of USB Flash Drives, dried them in a tumble dryer, and then ran over them with a car. 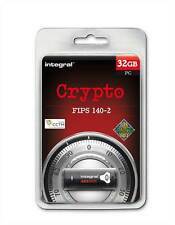 AES 256-bit hardware encryption is superior to software encryption used by many other "high security" USBs. AES 256-bit hardware encryption. Brute-Force Password Attack Protection - Data is automatically erased after 6 failed access attempts. 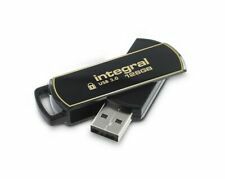 The Integral Slide is a great value USB Flash Drive with a capless design, just push and slide. Perfect for daily use to transfer files between PCs and Macs. Convenient capless design with a smooth slide action. Dual Password - An administrator can set up an optional master password on a drive. A user then sets a user password as normal. A warning is given to the user after the fifth failed password attempt to take the drive to the administrator to unlock the drive by using the master password. 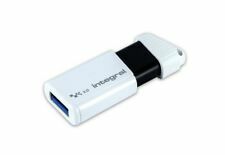 A great value USB, perfect for daily use for transferring files between PCs and Macs. USB Port (USB 2.0 for hi-speed data transfer). LED read/write light. Manufacturer Part no. Unprotected files cannot be saved to the Crypto Drive. Crypto Drive has a zero footprint - No software installation is required before use. 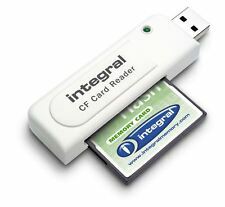 Endpoint security software compatible - The Integral Crypto Drive operates comfortably with endpoint security solutions by using the embedded unique ID. 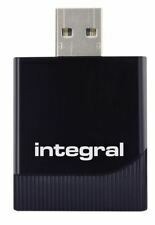 The Integral Slide is a great value USB Flash Drive with a capless design, just push and slide. Perfect for daily use to transfer files between PCs and Macs. Stylish slider USB. Convenient capless design with a smooth slide action.